The summer of 2014 heats up as ABS-CBN and Jeepney TV spread “Meteor” Fever by bringing back the phenomenal asianovela “Meteor Garden” to television screens. Since the series returned on air last March 31, viewers can’t get enough of Shan Cai and the boys of F4 (Flower Four). They have not only been tuning in to “Meteor Garden” on its afternoon slot on ABS-CBN, but also on the program’s evening, midnight, and morning slots on Jeepney TV as well. According to Kantar Media, Jeepney TV national ratings during the asianovela’s primetime slot (8 PM) increased by as much as 250% in total urban Philippines and as much as 239% in Mega Manila from March 31 to April 9, 2014. 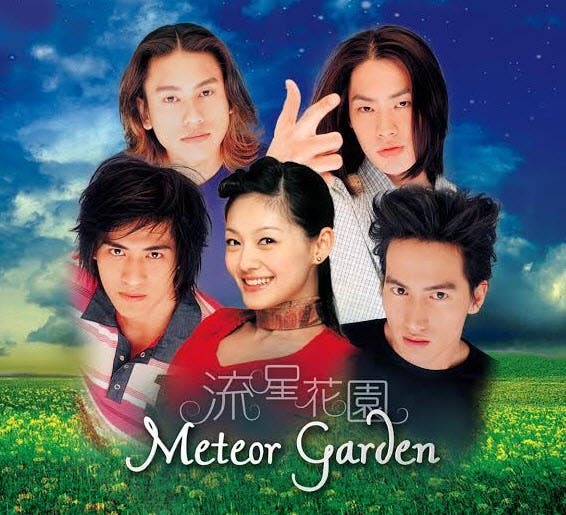 Fans of the show have also blown up the micro-blogging site Twitter making subjects related to “Meteor Garden” a constant fixture in the trending topics locally and worldwide. Jeepney TV also heralds the return of “Meteor Garden” with the “Spot the Meteor” promo (which is extended until April 30) where a lucky fan and a companion of the show can win the “ultimate throwback experience.” of travelling to Taiwan in June to visit the memorable sites seen on “Meteor Garden” such as Yingde University and the Royal Palm Boulevard. Don’t miss “Meteor Garden” as it airs on ABS-CBN Mondays thru Fridays at 4:30 PM and on Jeepney TV Mondays thru Fridays at 8 PM with replays at 2:15 AM and 10:45 AM the following day. Jeepney TV also recaps the series Saturdays at 2 AM, 10:30 AM, and 9:00 PM and Sundays at 2:30 AM, 11:15 AM, and 10:00 PM. The complete Season 2 of “Meteor Garden” continues airing on Jeepney TV beginning May 12. For the full mechanics of the “Spot the Meteor” promo, visit JeepneyTV.ph. Poll: Who Do You Want to Star in the Pinoy Remake of Meteor Garden? Meteor Garden 2018 Official Poster and Trailer Released! Natawa aq sa throwback shows haha ilang beses n pinalabas ang dragon ball at ghost fighter sa gma? Tsaka for ur info pinalabas din ng 7 ang meteor garden pero mahina marketing nila ni ndi npagusapan nun. TUMPAK..Mga makakalimutin kasi. Parang mga impostor lang siguro sa ABS rin nanonood ang mga kawawang iyan. Paano ba kasi walang Creative people ang GMA, dibah nagpapa-apply pa sila ng mga walang kakwentang career job fair nila Online?. mga kapuso fans, tumrending trending din worldwide pag may time! yun ay kumg magtetrending. naku mga GMA avid FANS! kelan nyo ba tatanggapan na ang GMA ay TALO ng ABS! Tangap nga ng ABS na mas magaling ang GMA sa NEWS, how i wish NEWS CHANNEL na lang ang GMA, dapat yung GMA NEWS CHANNEL na lang ang main kasi naman pang world calss kayo sa FIELD na yun PERO pag dating sa ENTERTAINMENT aba, wag na akyong umipal, ang papangit ng mga production ng GMA, kita naman sa RATINGS! sa ADS at sa mga SIKAT na ARTISTA! tumrending muna ang GMA worldwide bago mo sabihing panis ang meteor garden! panis sa MY LOVE FROM THE STAR! hahaha puro na lang throwback show wala na bang bago ebakcbn? hehehehe..
tumrending muna kayo wordwide bago kayo pumutak..
bitter n nmn ang mga kapusucks!! !